Happy Thursday! Today’s Spotlight is the 3rd installment of my blog dedicated to the wonderful Amaretto group moderators. This week the lucky moderator in the Spotlight is another one that switches seamlessly between our Multi-language group and the main Amaretto group. Lisabella Lane is the wonderful moderator I am happy to Spotlight. Watching Lisa chat and help our Community with any questions or concerns they have while she herself learns new English words she’s never heard makes me smile all the time. I confess I have taught her a few English sayings that she probably didn’t need to learn but it’s still hilarious to watch her use them! Lisa I don’t know what we would do without you either!! Here are the answers Lisa gave to my questions! *Please tell the community a little about yourself. 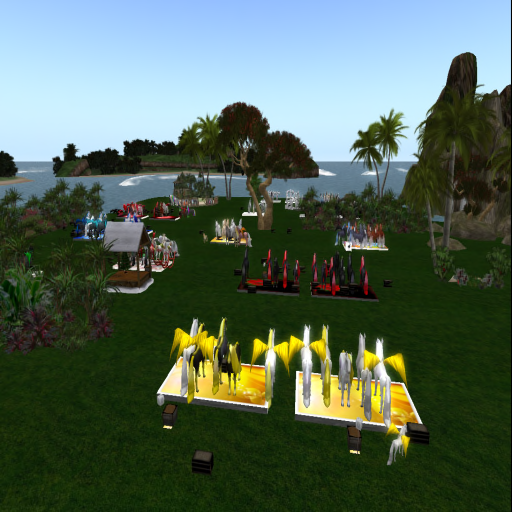 Where you are from and what brought you to Second Life? My friends call me Lisa and I’m a member of Anonymous Amaretto Addicts (the AAAs). No, back to serious answers: I’m from Germany and one day I just thought, I should see, what SL is. I was just curious. 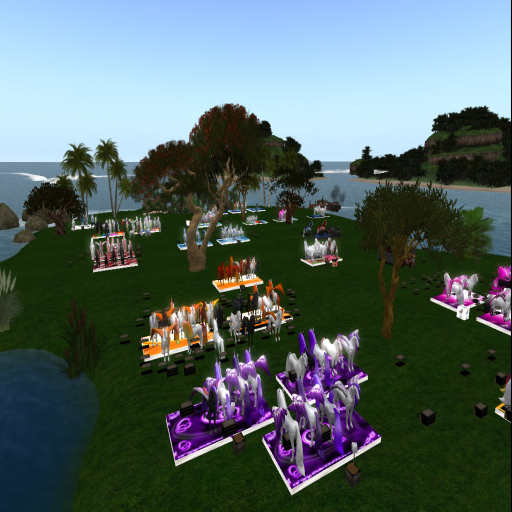 My SL experience started with role play. *Which Amaretto Breedables do you own? I’m breeding horses, horses and more horses. I have my dogs in kennels at the moment – because I put focus on horses. And then there is Dakota – she is age over 700, an Amaretto Special Edition K-9- Devotion Dalmatian, the guard dog at my land. *How did you get started in breedables? You don’t really want to know the complete list 😉 There is a gold/yellow project based on the new wings and horns on Molten Roan Gold, a silver/purple project, there are my Rainbows, Zodiac horse, Confection horse and Elemental horse breeding. I love to do All WHITEs, Oranges, Greens, Blues, Reds, Yellows and Purples. Then there is a group of Candy and one for Snowflake. And I like the following that are my own creation: the Flor de Pascua/Poinsettia horse – based on Black Coat with red and green traits, like the Poinsettia flower colors. *What special projects are you working on right now with your Amaretto K-9s? *What special projects are you working on right now with your Amaretto Birds? 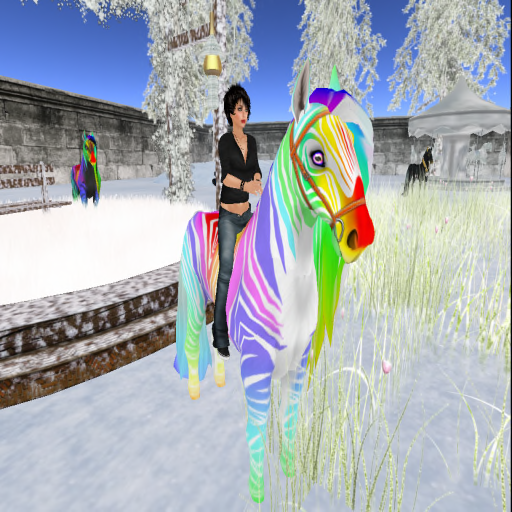 *What are some other things that you enjoy doing in Second Life when you’re not taking care of your breedables? *What is it that you enjoy most about being an Amaretto Group Moderator? It is the close contact with breeders’ community, and I learn something new every day – in breeding and also in language. Hopefully you all learned a little more about the super sweet Lisabella! Be sure to say hello when you see her in the groups. Just a reminder to our Amaretto Community, the Amaretto Group Moderators are not privy to any inside Amaretto information, nor are they told things in advance. They are here to help out in our groups and lend a hand when they can. The moderators have been around a long time and have many suggestions to help when you have issues but if all else fails please file a ticket on our support system and a CSR or a member of Amaretto Staff will assist you!